Much of what I’ve learned about life comes from plants—the seemingly endless varieties my father planted around our homes in towns along India’s west coast. 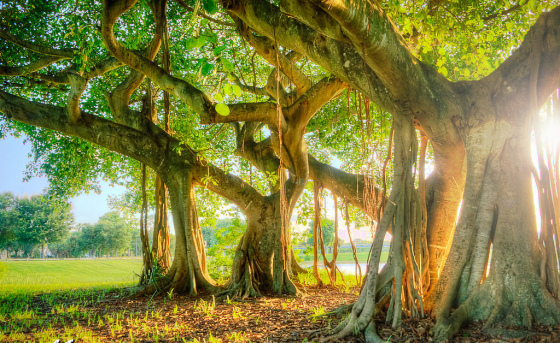 Each time we moved, my father yanked us from the ground, tap roots and all, and replanted us elsewhere, he in the center, the trunk of a great old banyan tree, my mother at the base, her arms about the main trunk, and we, seven children, sprawled around them. I, the oldest child, settled tentatively into the earth nearby. One little root, the third child, never did thrive; she lived in a silver frame on my mother’s dresser, a little girl of five, never growing older as we did. ~ by alokesurin on January 14, 2015.